Rain today. Fitting as the first day was rainy also. 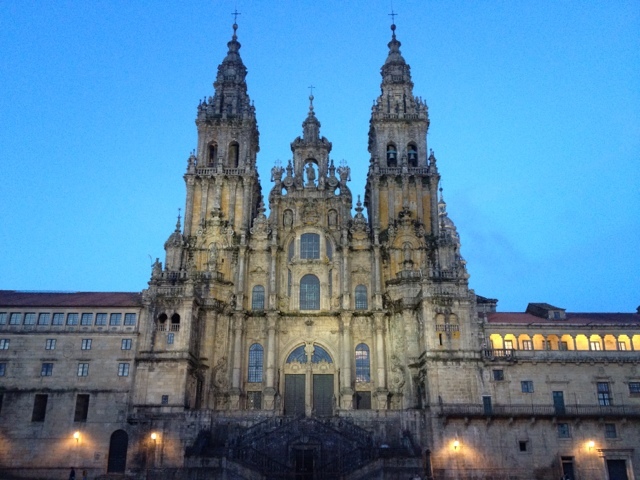 A couple of coffee stops more gum trees and we were there, standing out side the Santiago de Compostela Cathedral at 12:45. No real wave of emotion, or huge sense of accomplishment but rather a small sigh of relief and a rush to get a couple of photo opportunities. 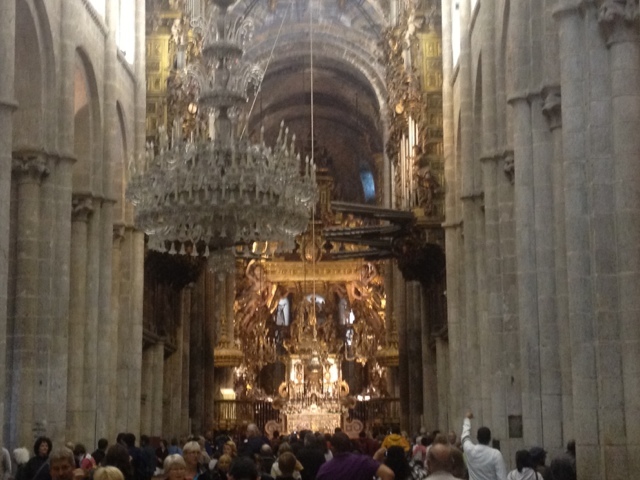 The pilgrim mass had been going on for an hour but we still popped in. 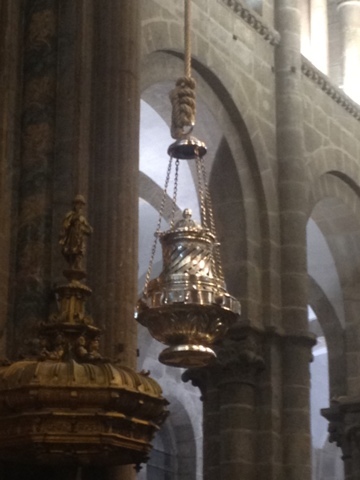 Luckily they were just starting to swing the Botafumeiro (giant smoky thing that seven monks swing from one end of the cathedral to the other, see photos). Apparently this is only done when someone pays for it to happen so we were lucky to see it. The service was a bit of a circus. 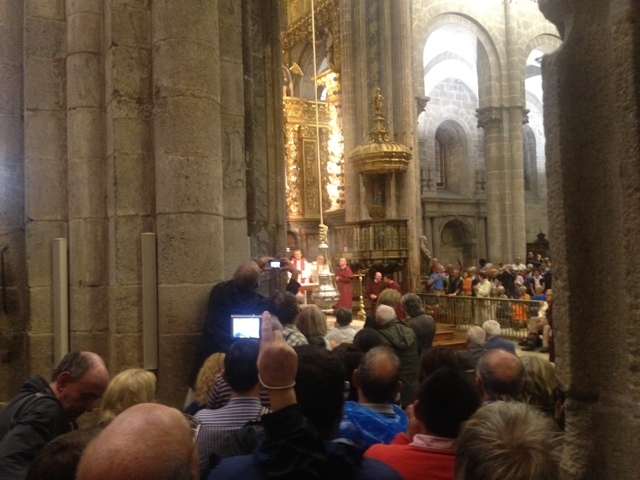 Imagine 400 pilgrims all holding up cameras and phones to take photos and movies. The Botafumeiro swinging was pretty impressive and when finished the crowd bursts into applause then a nun spends 15 minutes asking for silence and shhhing whilst people talk leave etc. 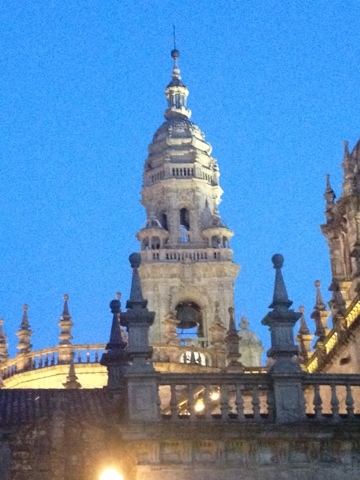 Still raining so checked into the hotel which is simple but beautiful and 100m from the cathedral. We need to pick up the parcels we forwarded during the camino and get our degree (decompostella) but that can wait untill it's fine so off a quick bite then a hard earned kip. 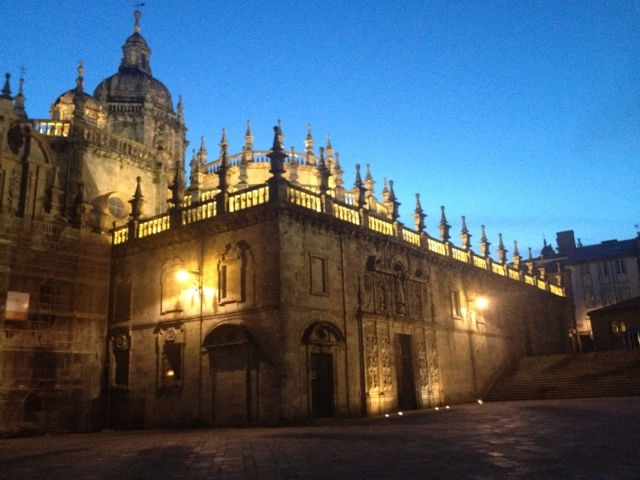 All parcels recovered, a celebratory paella and bottle of wine under the belt(seafood here is great) and the rain has stopped so managed to get some pics of the cathedral by night. Congratulations to you both - great effort! I expect you need a bit of time out on a boat now. See you on Saturday! Crikey! You made it! Always knew you would. Better sell your endorsement to the giver of autologous remedies. 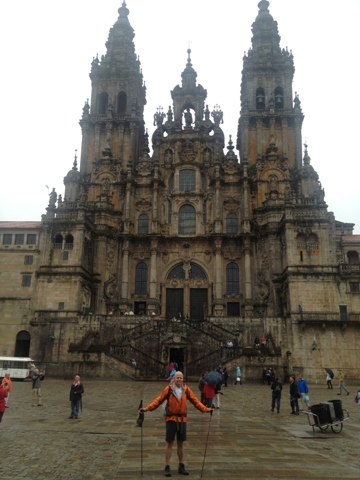 Hi Marcus, congratulations on reaching Santiago. We've followed your progress and appreciated the photos, daily. 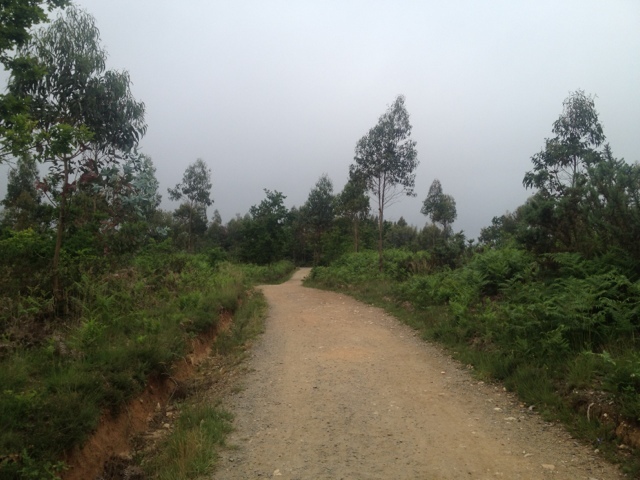 We'll wait with eager anticipation for the next stage of your trip.